I feel like a horrible person. Today’s update is going to ramble for a little bit, so I apologize in advance. To start with we have to go back a little more than 15 years. I was in the service and living in a tiny dorm room with no cable. Because I worked odd hours I was usually up all night. I watched a lot of VHS tapes since there isn’t much to watch at 2 a.m. even when you have cable. I watched a lot of the original Star Wars trilogy. That led me to reading a lot of Star Wars books and I hated most of them. 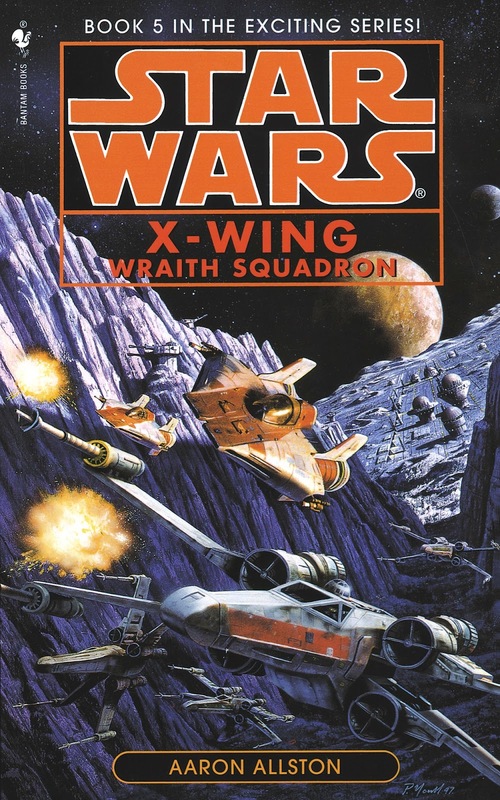 There were a few authors I did enjoy though and my favorites quickly became the Wraith Squadron books Aaron Allston wrote for the X-Wing Series. I was spending a lot of time on X-Wing related message boards and eventually started putting together a pilot costume for myself. Then a small North Carolina convention rolled around and Aaron was going to be there. I brought the first Wraith Squadron book for him to sign and went to his speaking events. He was the warm, funny writer who was far too nice to the idiot dressed like an X-Wing pilot and reeking of booze. We seemed to be hitting the same convention circuit so I saw him a lot. Each time I saw him I brought one novel for him to sign. He asked me about it probably the third time I saw him. It was obvious I had all the books, why didn’t I just bring the whole stack at once? I told him something along the lines of I didn’t want to be rude. He found it funny, since my normal convention mode was that of a loud, boisterous drunk. The insides of my X-Wing books document my first meetings with Aaron. They go something like “Good to meet you”, “It’s nice to see you again”, “It’s nice to have a reliable stalker,” etc. He would laugh at my outrage. I had told him he was the only Star Wars writer that seemed to understand that a character didn’t need to be a Jedi to be interesting. I’ll never forget how much he laughed when I told Michael Stackpole that Michael ruined the character Corran Horn by turning him into a Jedi. It was really fun to make Aaron laugh. By this point we talked about a lot more than Star Wars. 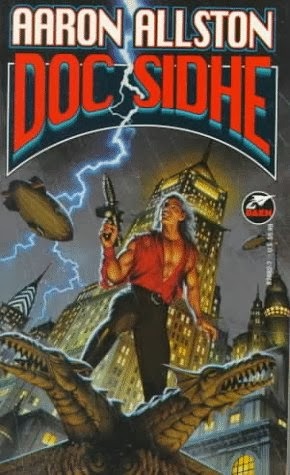 I had fallen in love with his Doc Savage inspired character Doc Sidhe. We’d email regularly. There was a period where I was trying to replicate a coffee/chocolate drink from his novel and we laughed about how poorly some of my experiments had come out. We talked about roleplaying games and any other nonsense I could think of. I always looked forward to hearing from him and it was even better when we got to talk in person. Life happened. I stepped away from the Star Wars fan community. I stopped going to conventions as much as I could when I was single. I didn’t spend all night in my email blasting off messages to friends all over the world. I drifted out of contact with Aaron without realizing it. I was reading a Star Wars rpg thread on a message board last night and I just froze. I didn’t want to believe what I had just read and went scrambling for an official word on the matter. It was true, my friend Aaron Allston had passed away on February 27, 2014. Not that me knowing sooner could have changed anything of course. It makes me feel like I somehow betrayed our friendship. How the hell did I not know? Rest in Peace Aaron, you were far more wonderful to me than I ever deserved. You were a true friend and I already miss you.